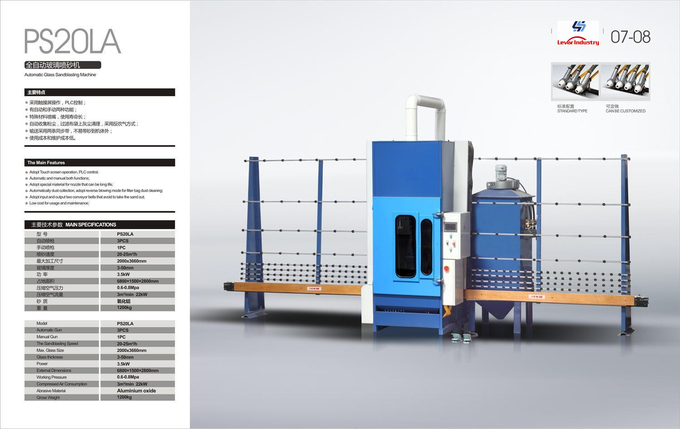 This machine is designed for sandblasting. 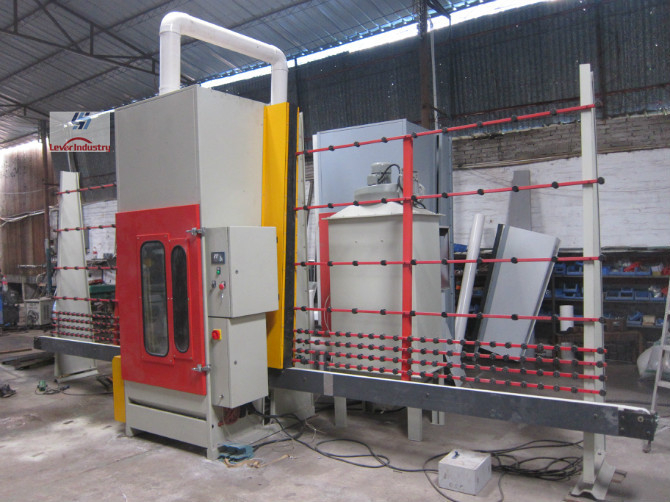 It is composed of conveying section, sandblasting cabinet, auto sand spraying system, sand collection equipment and automatic control system, glass was conveyed into the cabinet, there has equipped with three guns, which are automatically applied to blast sand onto the surface of glass as per settled specifications on touch screen, also it is equipped with an extra manual gun which can be used by manual model. 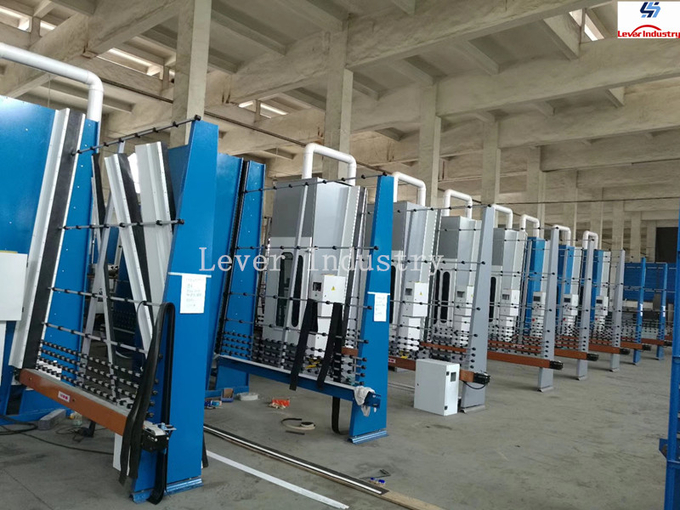 So this machine works fast, environment and easy operation.